Market day Yangon | I should have turned left! 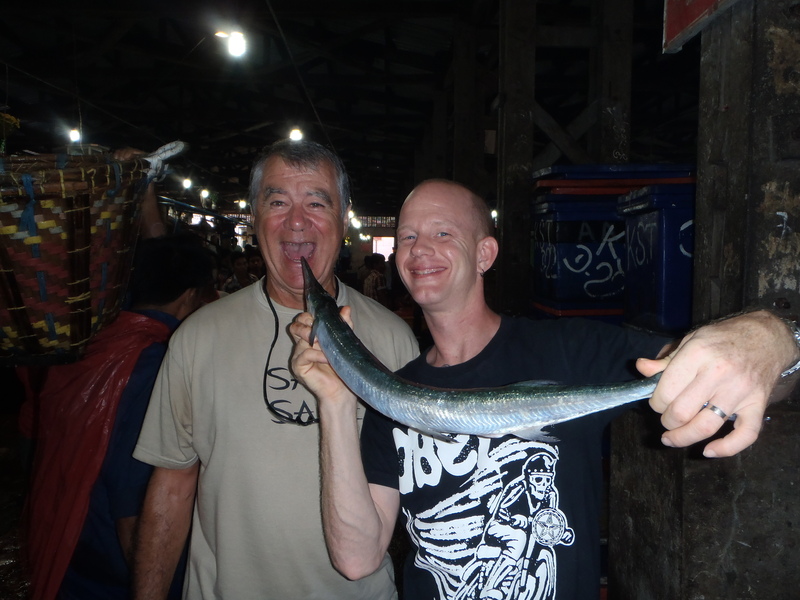 We got up really early yesterday (5:30m) and headed down to the docks to the fish market. What an interesting morning to see the work there and the auctions. 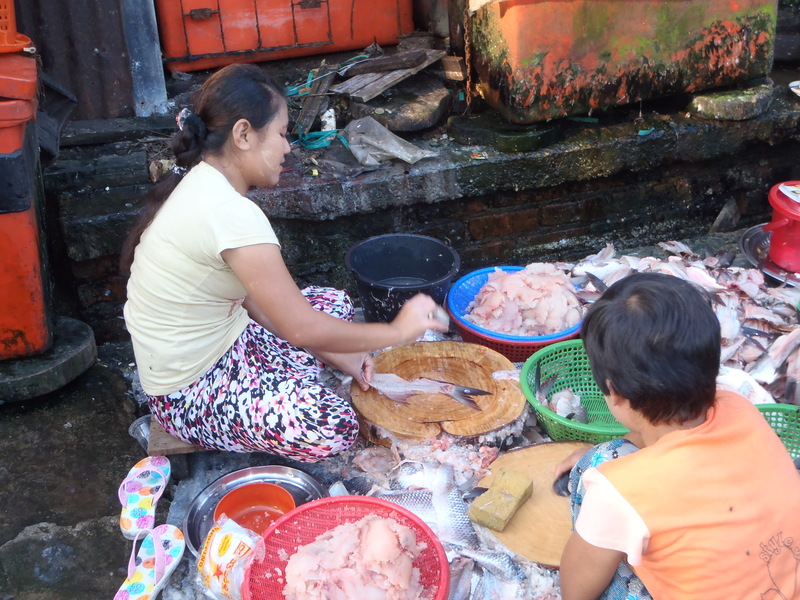 The rows of girls cutting up the fish, every part of the fish is used here there is no waste. Most fish are sold whole but many are processed here. 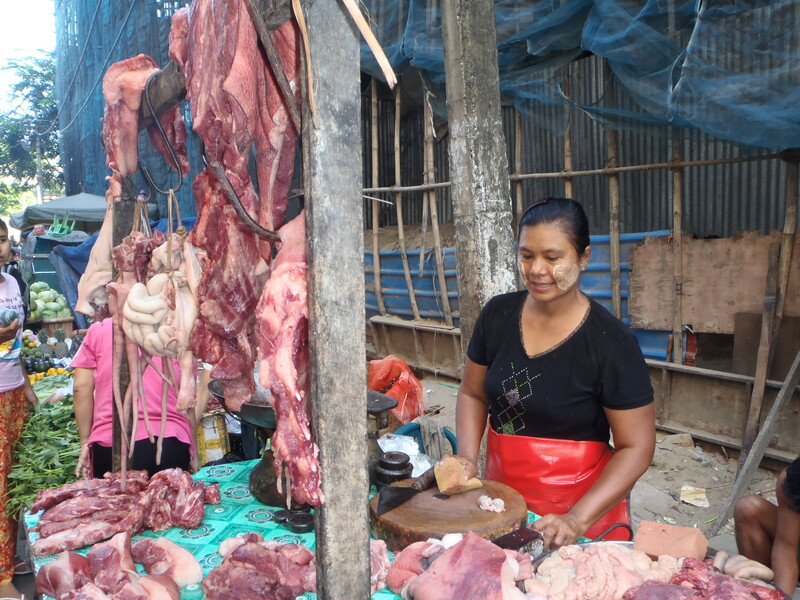 The gall bladders are taken out and sold separately, the skins and bones are sold to be rendered down into fish paste or stock. The entrails the same or into cat food. It is fascinating. The poverty once again incredibly apparent and yet the ladies squatting on their haunches on the ground working on chopping boards are chatting and laughing and do not hesitate to flash a shy broad smile at us foreigners. In the docks where the good are loaded manually, the strength of the men is unbelievable they carry 2 x 50kg sacs of rice at a time and run up the gang plan from the ships to the trucks as they get paid per sac. After that and smelling a little fishy we head down to the local market. I’ve described these markets before and yet I could go and see them every day. I find them fascinating the life, the smell, the taste (deep fried onions in batter yummy), the feel and sights. The Burmese people are so welcoming and like to talk to us and again it surprises me how many spoke some or very good English. Burmes ladies are so pretty and always smile at us. 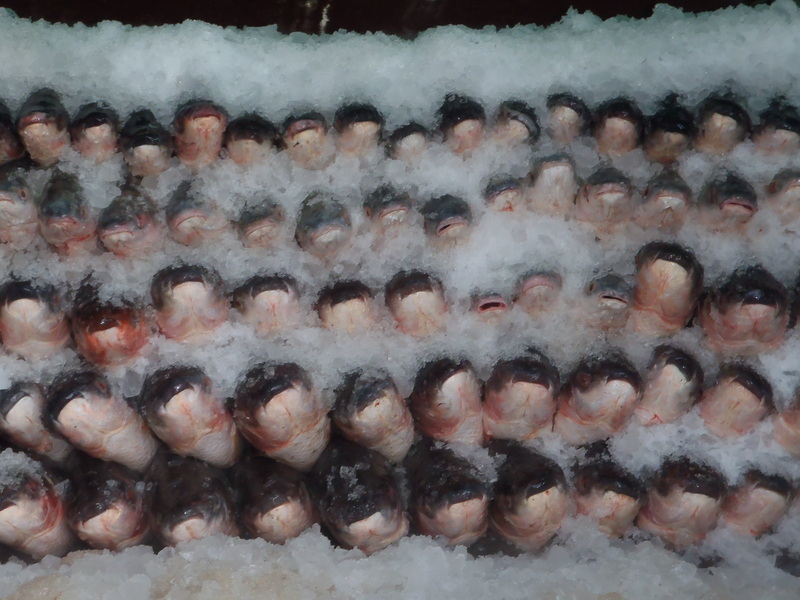 We see a lot of the fish that was bought fresh off the market that morning, as well as chicken and other meat. Loads of vegetables, flowers, and food stalls. 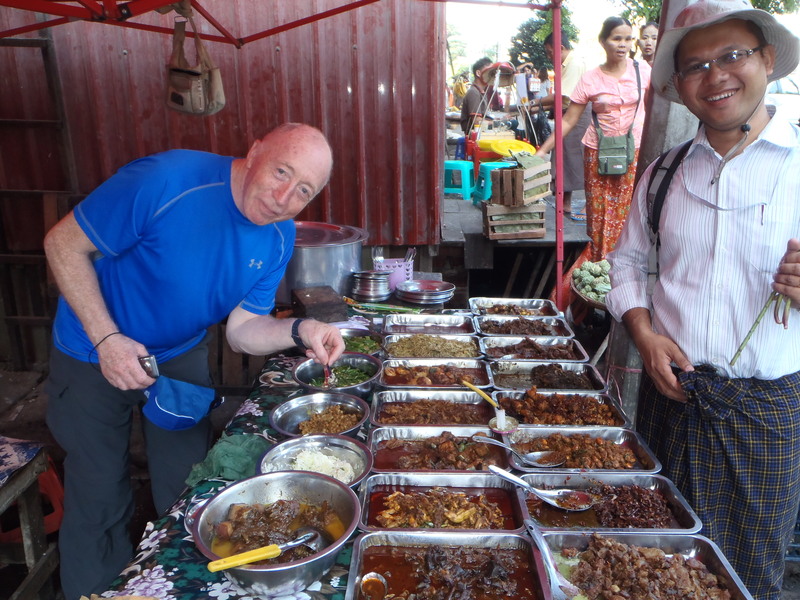 A couple of which are interesting to see but not try for example the offal street side stall selling every bit of offal you can imagine on sticks which you then deep fry yourself in a bowl of hot oil and eat right there and then…hmm not for me. Although I may have eaten it in a pie but was none the wiser and the pies are as yummy as all the food I tried. After taking a break we spent the final hours of the day seeing a largest reclining Buddha in Yangon and the Shwedagon Pagoda. 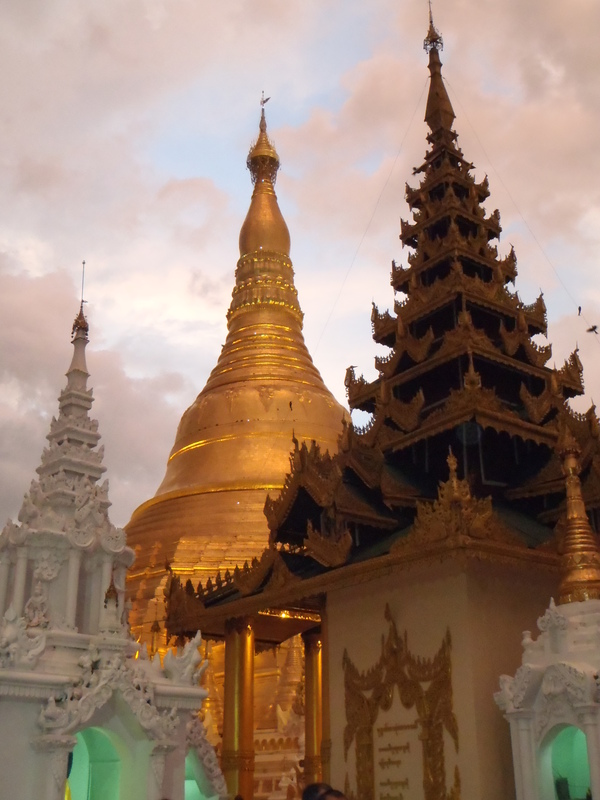 I will certainly will go back to that when I am in Yangon again as I found it fascinating. We also saw a group of Buddhist nuns chanting which was nice. I have seen the monks chant but not the nuns and it was nice and different. So much to see and such nice people Myanmar is certainly living up to my expectations. I cannot wait to fly out to the countryside and get the bikes and see the rural areas and mountain scenery.